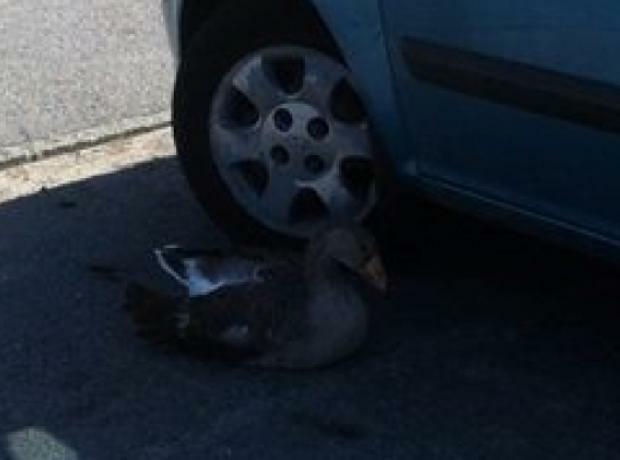 Over the past few months a young wild goose has been seen at a car park on the seafront in L'Eree. The GSPCA has been involved with rescuing the bird and called out on a number of occasions both day and night to check on the young animal. On a number of occasions 6 wardens have been out and 3 staff to check on the bird and we did bring the goose in during July and it was found to be in good health. In our care members of the team did name him 'Paul' and he spent a short while with another goose in our care.